What is truely been trained and what do we learn from Siu Lim Tao? These questions are often asked by Wing Chun practitioners from all over the world. 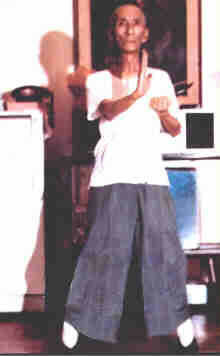 Siu Lim Tao in Ip Man Wing Chun is the basic form and a foundation to learn the other 2 forms (Chum Kiu, and Biu Gee). The movements of Siu Lim Tao looks simple and can be easily imitated by layman. 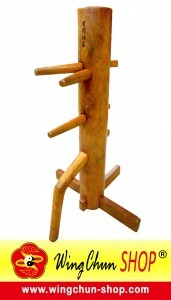 Because of these, many people think that they know Wing Chun and underestimated Siu Lim Tao. To train your relaxation. Your stance and all parts of your body must relax while performing Siu Lim Tao. To train breathing naturally with your lower stomach and focus on Dan Tian (the spot which is 3 fingers lower than your belly button). To train your elbow and increase your elbow’s energy. To train to focus on your centre line. To use your trained elbow’s energy and relax at the same time. To train Fa Jin and breathing with Dan Tian. From the above explanation, we can then ask ourselves: have we performed the correct Siu Lim Tao according to Ip Man Wing Chun? Or have we just been training an empty form?